A few hours ago the Soyuz TMA-18M spacecraft blasted off from the Baikonur Cosmodrome in Kazakhstan and went en route to the International Space Station carrying Aidyn Aimbetov, Sergey Volkov and Andreas Mogensen. The Soyuz is using the trajectory that requires two days of travel instead of the fast track normally used because of the Station’s position. Yesterday the crew of the International Space Station ate some salad. 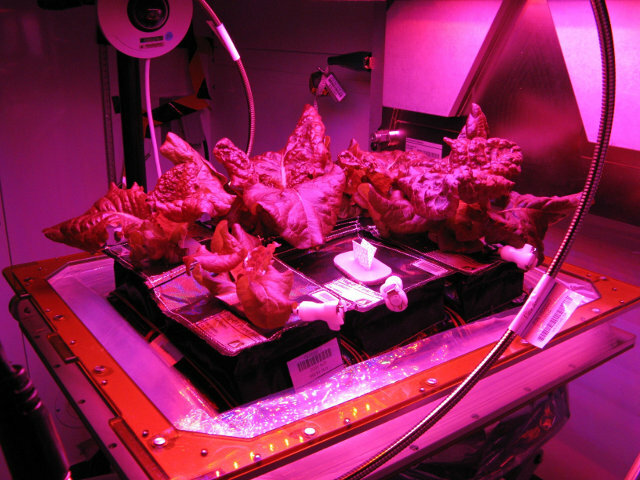 It seems a very trivial act but it was based on lettuce grown on the Station as part of the Veg-01 experiment that is specifically intended to study the growth of plants in a microgravity environment. The ultimate goal is to enable self-sufficiency in the food production during outer space trips and in space colonies. A few hours ago the Soyuz TMA-17M spacecraft blasted off from the Baikonur Cosmodrome in Kazakhstan and after almost exactly six hours reached the International Space Station carrying Kjell Lindgren, Oleg Kononenko and Kimiya Yui. 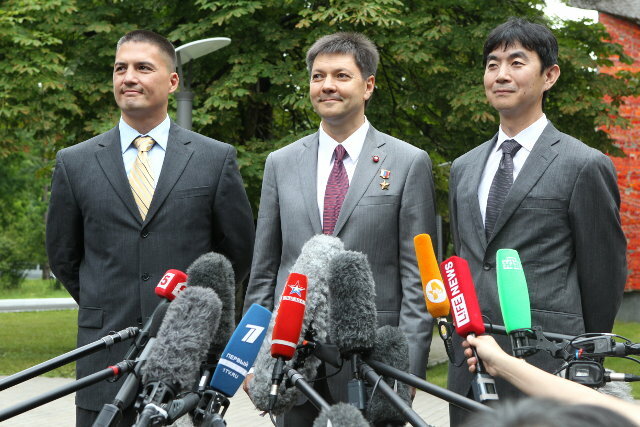 The Soyuz traveled on the fast path normally used. There were a couple of little problems because one of the spacecraft’s solar panels didn’t deploy and after the arrival it took longer than expected to balance the air pressure with the Station but in the end everything went well. 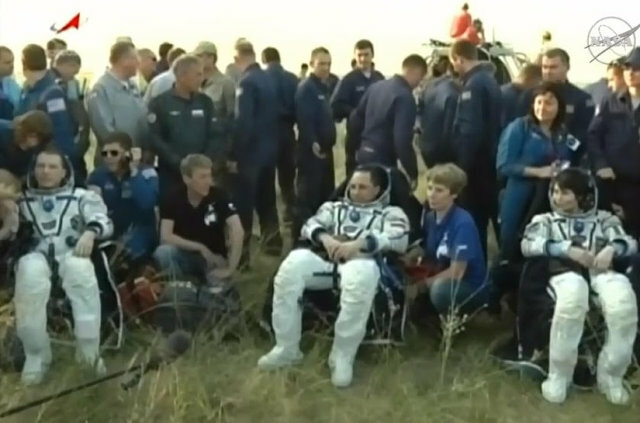 A little while ago, NASA astronaut Terry Virts, Russian cosmonaut Anton Shkaplerov, and Italian astronaut Samantha Cristoforetti, returned to Earth on the Soyuz TMA-15M spacecraft, landed without problems in Kazakhstan. 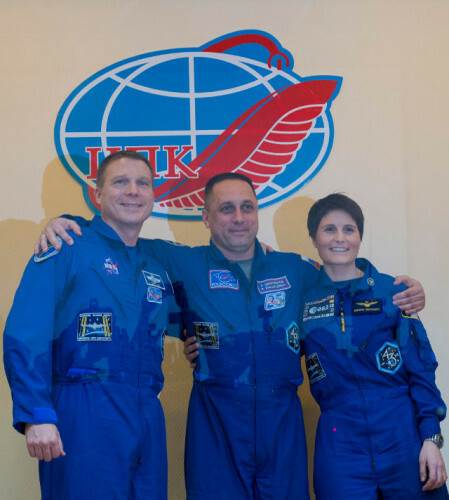 The three of them spent nearly six and a half months on the International Space Station, where they arrived on November 24, 2014. 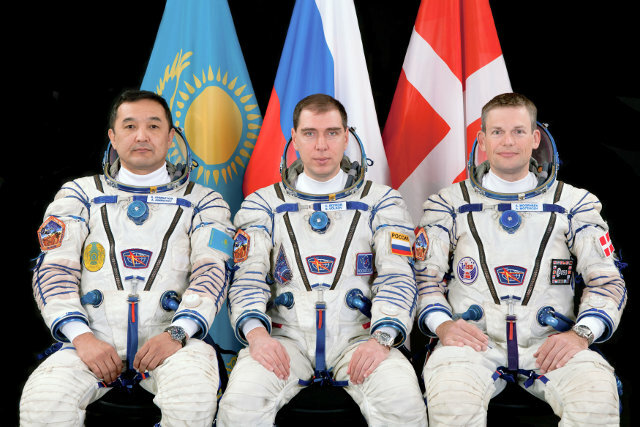 They were initially part of the Expedition 42, in the second half of their stay they were part of Expedition 43 with Terry Virts as Station commander.